The new EU Mk3 mains blocks are greatly improved. Even better connectors, filter and surge protection. All parts are made in Germany and Sweden. Assembling in the Supra factory, Ljungskile, Sweden. Radiation Free, with Non-Intrusive Filtering. 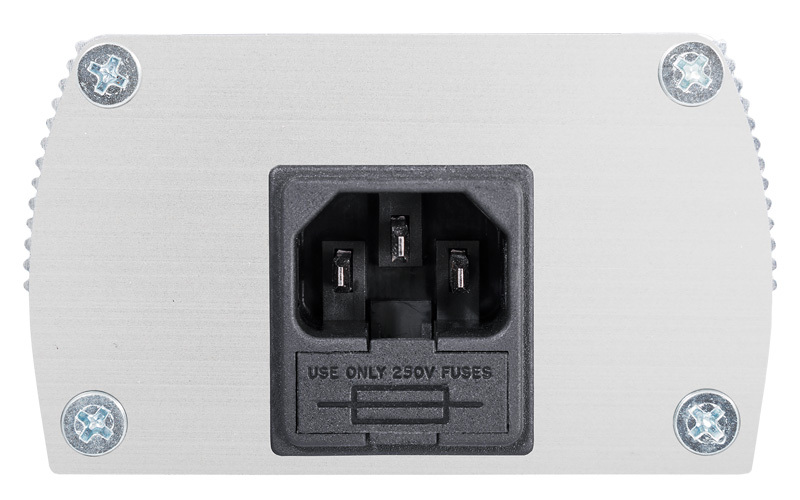 A shielded mains distribution block in Aluminum. Free from noise deriving from a variety of noise fields from e.g. cell phones, DECT phones, dimmers and many other domestic electrical equipment? SUPRA MD is a sound and performance enhancing mains distribution strip, containing a proprietary SUPRA NIF, Non-Intrusive Filtering circuitry, providing a mild noise and radio frequency filtering that will not slow down or mute the dynamics from your Hi-Fi audio system. The conscious Hi-Fi enthusiast connects the Supra MD mains distribution strip only to wall sockets with earth terminal using Supra LoRad mains flex (optional). Radio frequency interference reduced by 40dB! 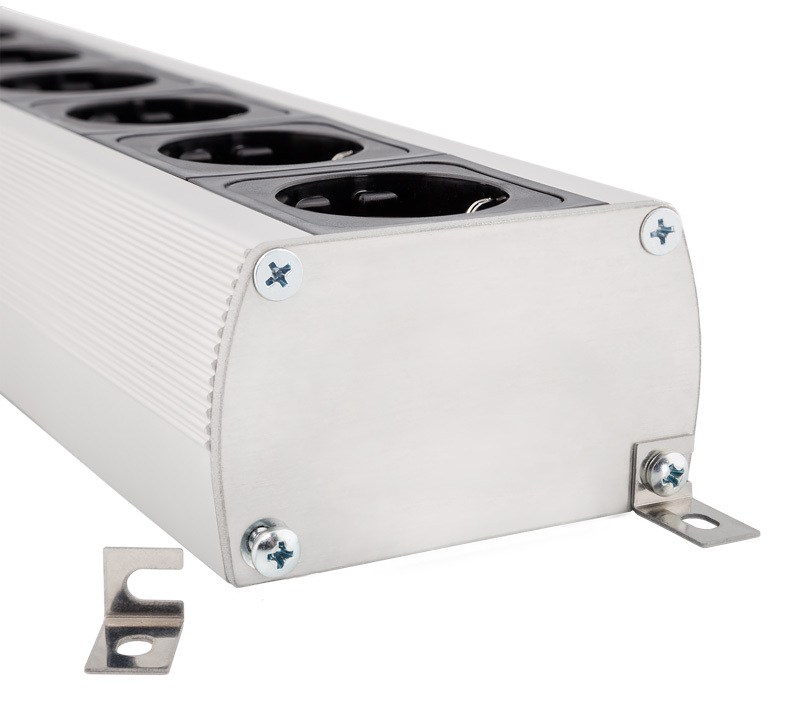 Supports a staggering 2300W of continuous power! Protects you and your Hi-Fi audio system from harmful noise fields and radiation! 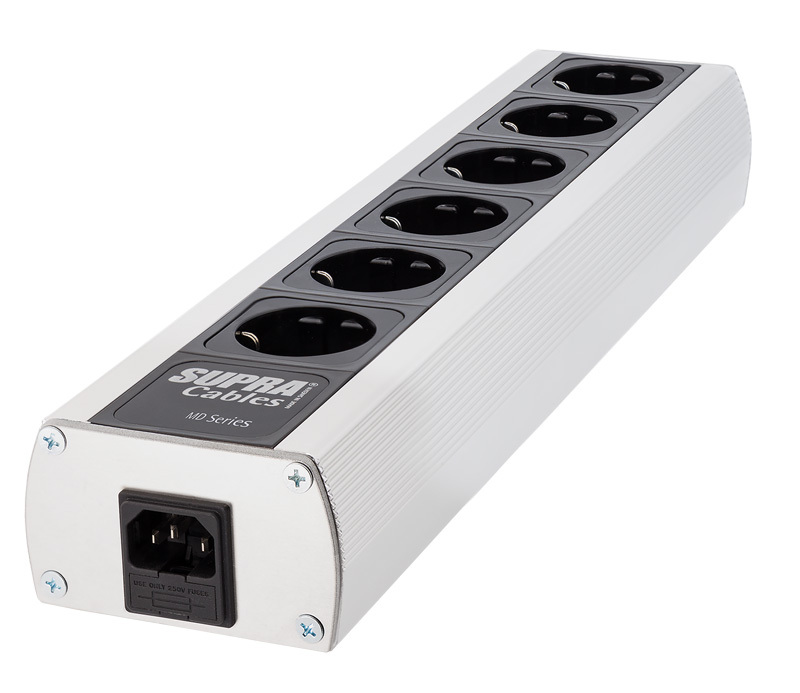 Outlets: 6 x SUPRA MCH-16/EU, Schuko Female. A Non-Intrusive Filtering circuitry, providing a mild noise and radio frequency filtering that will not slow down or mute the dynamics from your Hi-Fi audio system. Supra Lorad 2,5 MkII CS-EU Powercable Shielded 1,0 mtr. Supra Lorad 2,5 MkII CS-EU Powercable Shielded 1,5 mtr. Supra Lorad 2,5 MkII CS-EU Powercable Shielded 2,5 mtr.